Playing golf throughout the winter months can seem like a tough task, however, with the amount of technology and equipment at our disposal in the modern day, it is actually very much doable. To make winter golf bearable it is essential that you have the right gear, and one of the most important items is a good pair of winter golf shoes. Recently, Golfshake headed to Moor Allerton Golf Club with a group of ambassadors and readers whose task was to try out a range of 2018/19 winter shoes and provide some feedback. Each individual provided us with some ‘first thoughts’ following their round and they are currently testing the shoes further at their own golf courses in order to help us create a full review of each shoe. These reviews will be available soon on Golfshake so keep your eyes peeled for them. 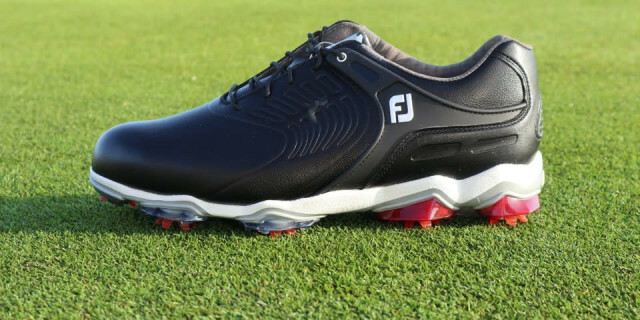 So, without further ado, let’s take a look at the 2018/19 shoes that we took out onto the course. 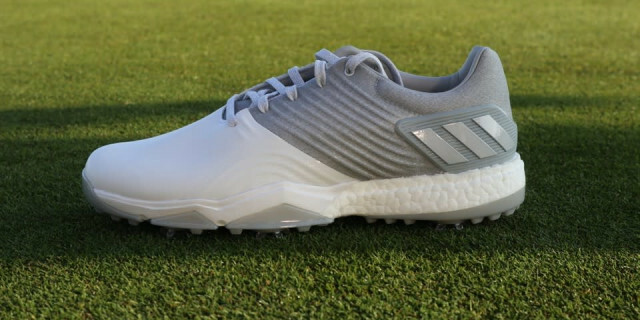 Adidas is no stranger to the golf shoe market and their latest shoe design, the Adipower 4orged, has been well received within the golf community. Adidas are well represented in professional golf with players such as Justin Rose donning their footwear and apparel. Because of this, it’s no surprise that the Adipower 4orged is a seriously impressive shoe. Boost cushioning in the heel of the shoe. Stability from all areas of the shoe. As I’m sure most of you will know, Under Armour have become one of the biggest players in the golf apparel market. Their partnership with players like Jordan Spieth has led to their gear becoming very popular and appearing on golf courses all over the world. 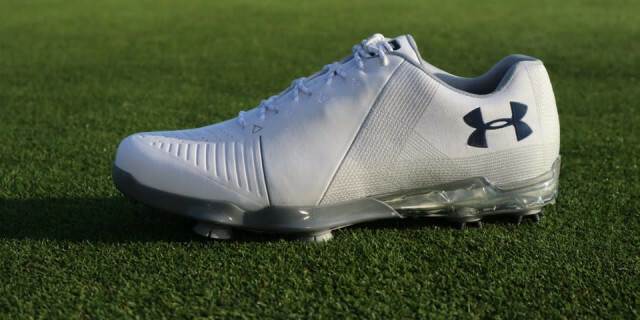 The Spieth 2 golf shoe is a much improved version of the original Spieth One shoe and is a brilliant option for all-year round golfers. GORE-TEX® technology ensures the shoe is 100% waterproof. Under Armour’s Rotational Resistance Spikes provide high levels of stability and grip. Clarino® microfibre leather allows for great stability and creates a long-lasting shoe. As the leaders of the golf shoe market, we are used to seeing FootJoy producing outstanding golf shoes for all 12 months of the year. The Tour S is very clearly built for winter and is the choice of many when it comes to the wetter parts of the calendar. The leather upper and solid spike system make this a great option when choosing a winter golf shoe. PowerPlate™ outsole is designed to help golfers maintain stability and effectively use their power during the golf swing. High quality leather makes for an attractive look and ensures that the shoe is waterproof. ComforTongue™ and SecurCollar™ technologies ensure a comfortable fit around the foot. 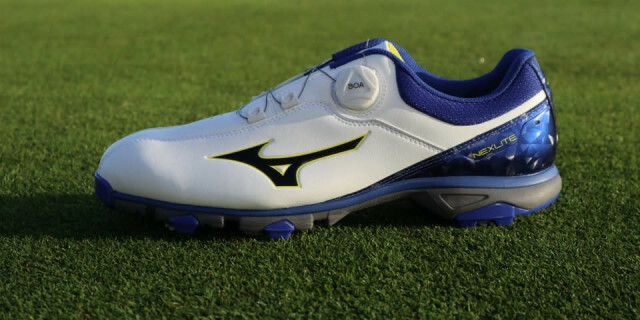 Many golfers swear by Mizuno products, particularly their irons, and these shoes seem like yet another brilliant product from the Japanese company. 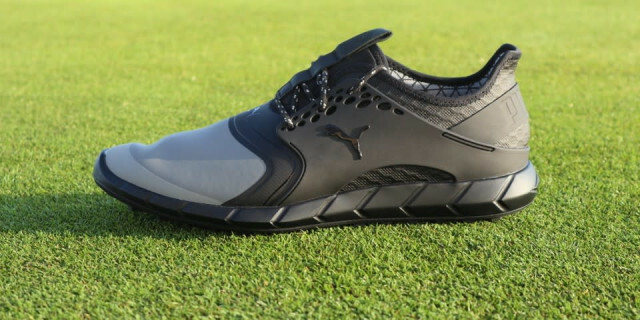 They are clearly keeping up with modern golf trends as their latest winter shoe features the Boa tightening system in the place of traditional laces, it will be interesting to see what our tester has to say about that system in their full review. Cushioned Wave Technology as featured in their running trainers. Boa lace system makes it easy to get the shoes on and off and withstands wet weather conditions. The lightest golf shoe produced by Mizuno. With a background as a shoe company, it is no surprise that all of ECCO’s golf shoes have been hailed for being extremely comfortable and great to wear. And, it seems like their latest spikeless model, the Biom Hybrid 3, is no different. 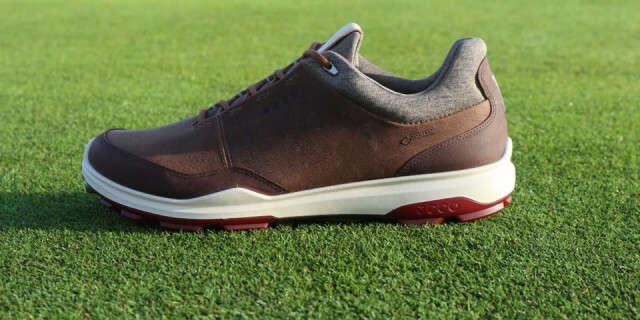 As always, ECCO have produced a shoe that looks good and does the job on the course, too. GORE-TEX® technology used to ensure the shoes are waterproof yet breathable. ECCO TRI-FI-GRIP® helps golfers to get the most out of every aspect of the shoes, including stability and durability. Available in a range of appealing colourways. 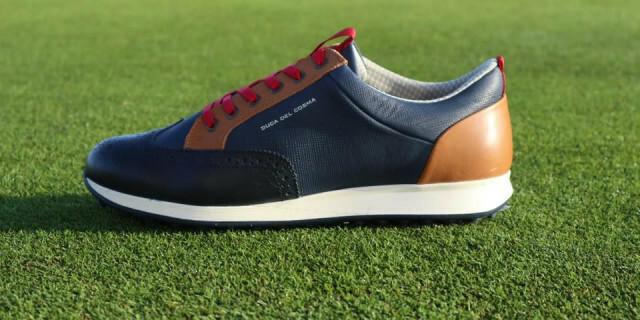 Duca Del Cosma are perhaps one of the lesser known brands in the UK, but their golf shoes are renowned for being extremely high in quality and unique in appearance, too. The Italian brand have created some really slick styles and the Camelot shoe definitely ticks all the boxes when it comes to helping a golfer stand out on the course. Waterproof and breathable leather upper. Airplay VI outsole provides the grip of a spikeless golf shoe but is also similar to the outsole of a trainer. Detailed pattern on the toe of the shoe to resemble the style of traditional golf shoe designs. Puma are perhaps most well known in the modern golfing age for kitting out Rickie Fowler and Bryson DeChambeau and rightly so. Rickie’s orange colours and Bryson’s flat caps really show off Puma’s capabilities and these capabilities stretch to their golf shoes, too. The IGNITE PWRSPORT model is a brilliant waterproof option for those looking for a spikeless winter shoe. IGNITE Foam is a cushioned mid-sole which creates a comfortable and soft feel. PWRCAGE and PWRFRAME technologies work together to aid stability throughout the golf swing. GripZone Traction features on the sole of the shoe to ensure there the shoe provides solid grip when it is needed. 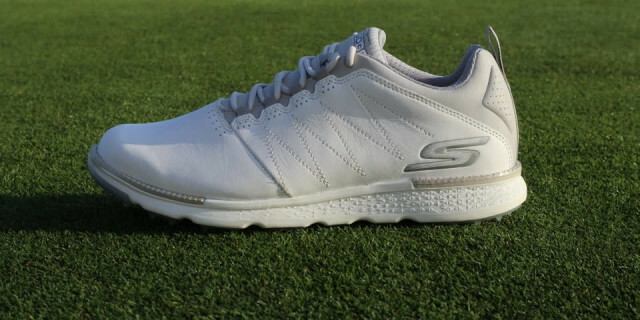 In a similar way to ECCO, it is clear to see in every golf shoe that Skechers produce, that they have used their expertise in shoe making to good effect. The Go Golf Elite V3 which was released this year is a nice option when it comes to selecting an attractive, practical and stable golf shoe. H2GO technology makes the shoe waterproof and suitable for wet weather. Lugs on the sole of the shoe ensure that golfers can achieve a solid grip throughout the golf swing. Available in more than one colourway.